who do I request a hearing from? this is the letter from DAV? By the way Phillp I like to thank you personally cause you where the one who suggested i file for the PTSD and IU in 2009 and that is what got me the !00% rating i now have. I will attempt to appeal the SSDI original denial., and also file ether a cue for the EED or have the 2006 claim reopened. I am totally exhausted, but will continue to be treated for the PTSD as it helps with the isolation Ive had for more than 25 years altho my sleep has gotten worst and the various medications have not helped with the nighmares/ and Chronic pain. iwas 17 yrs old when i was injured my dad actually had to fly in and sign for them to operate on me cause they considered me a minor?. i was treated @various VA's for MH problems since being medically discharged/ret. from army in 1977 up until present , alll in my VA records! my stressor was the TRAUMATIC laceration of the achilles tendon and nerves in r/ leg in 76. However i was granted PTSD june 12 2009 70% and an increase of 10% for the donor side skin graft which made my overall combined rating 90%. finally they awarded the difference for IU on same date i filed for the PTSD making my rating 100% permanant and total. I had a 60 % rating prior to this new rating "recieved" june 2010. When does my NOD date begin? Im more confused everyday and i m sure ive had PTSD prior to any filing as this was a case of Res ipsa loquitur " the thing speaks for itself" I was medically retired in 1977 and as my smr's state ,,, for a TRAUMACTIC laceration of achilles tendon and nerves. IE my leg was almost severed completely off,. Further, PTSD was not a diagonoses in 1976? im sry , but how can i just recieve this award in june 2010 and NOT have a chance to NOD even tho the effective date is june of 2009? thks again for your responses, Im debating how or where to go from here, somehow i feel the VA is screwing me, not that i am not thankful for the 100% rating but it just seems something is not correct in the EED and after 33 yrs of fighting my claim the paper trail somehow does not seem to be taking into consideration. the 2006 Denial states ptsd is not service connected?? To clarify..previos post..I sufferered a traumatic service connected injury in 1976 prior to ptsd being a compensatable condition. when i found out about PTSD was 2006. i filed a claim and was denied that year. I did not file a nod, the new rating of PTSD and IU was a new claim started in june 2009. i donot recieve Social security i did not have enough work credits when i filed in late 70's so i was also denied. i have not worked in almost 25 yrs due to the combination of all my service connection disabilities, but until this current rating my rating had been 60% for over 25 years mostly for the traumactic laceration of achilles terndon and nerves of my right ankle., hence it has affected my back, both legs , and of course the various, MH conditions diaignosed depending on which VA facility I sought medical care at.. I believe ive had PTSD from the onset, but was misdiaignosed, but my reasoning for asking for the 2006 EED is that This current award rating has a new EDD for a condition i had not filed for as posted in previous. As far as more exams ..was granted the total and permanant disability with no future exams warrented. I originally filed a ptsd claim in april 2006 which was denied. I was granted ptsd and total and permanant disability effective june 2009, althou, i believe i had ptsd from the onset of my injury back in 1976 i donot believe it is likely i could recieve this as an earlier effective date. but i would like to file for the early effective date when i initally filed for ptsd and was denied in april of 2006. My question is as follows if i file a nod will it affect my current rating of 100% , also how much time do i have to file the nod, and finally is it in my best interest to file a nod for the earlier date even thou i was denied PTSD in 2006? Thank you members for you input and advice, the reason i am asking is that they gave me an earlier effective date of april 2006 for the condition radiculopathy of left lower extremity associated with lumber spine degenerative disc and joint desease that i did not have earlier? Id like to say thank-you to pete charlie,and all its knowlegdeable members for thier Expertise in helping me reslove my 33 yrs of issues with the VA. Im the soldier who got hurt @ 17, while on active duty active and spent 2 yrs in the hospital after almost losing my leg. I followed thier advice about having a traumatic service connected injury and after 33 yrs of being unemployable getting nowhere, and surviving on a 60% rating. I found HADIT. I followed thier advice for about a yr now and low and behold from 60%service connected to an increase of 70% for PTSD, several increases of 10% for secondarys and permanant and total disablity inclusive of IU for a 100% rating!!! I can't tell you how Gtateful I am, only to say that may god always bless all of you for your continued, unrelentless efforts to see that every veteran, combat and otherwise recieve All the benifits they may be entitled to.! I also recieved retro in excess of 25.000 and can finally help my family and live financially secure. Again god bless you ALL and i hope to one day to give back a lil support or advice to my fellow soldiers in arms weather on Hadit or a VA hospital or another homeless and forgotten VETERAN! 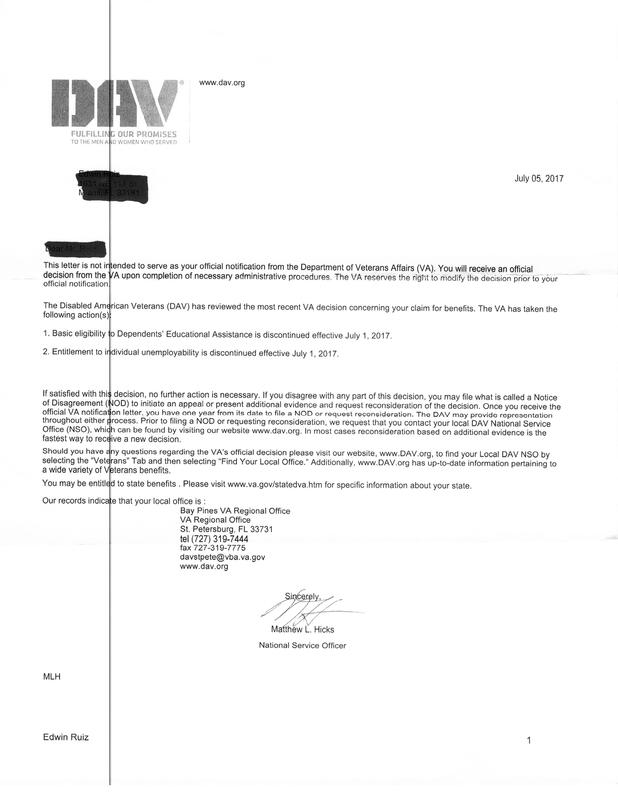 this os what i recieved from IRIS:Dear Mr. : This is in response to your inquiry to the Department of Veterans Affairs of April 13, 2010, as to the status of your request for your records. 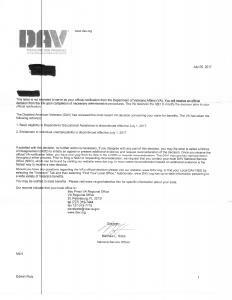 After review of your files, we see that your regional office is working on both deciding your disability claim and getting copies made of your records and sending them to you. Please visit the DOD/VA recently launched website for information about registering to be able to review your own claim status online at the following website: www.eBenefits.va.gov also excuse me for putting .com instead of va.gov! !